We were thrilled to be interviewed at a recent artists’ talk, alongside the eminent pastel and landscape oil painter, Cindy Griffith. The T.W. Wood Gallery was the perfect setting for our conversations—full of people in the midst of an art walk, wandering through room after room, floor after floor, of beautifully curated artworks, old and new. 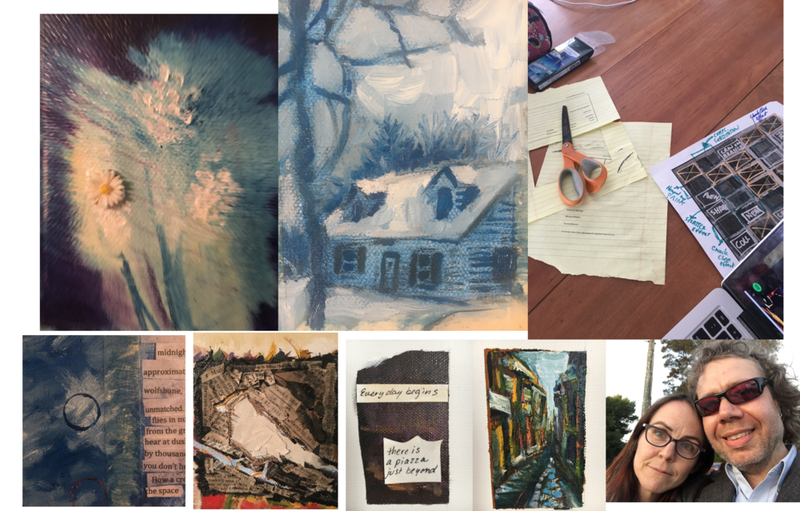 We enjoyed talking about our inspiration for Almanac#4, which had been awarded best in show, and how we work collaboratively and together discover the world around us through art practices. We are grateful to Executive Director Ginny Callan and Office Manager Kate Ruddle for their gracious reception of our art and our selves. As they stood before Almanac #4 after the artist’s talk, eagerly listening to us tell the origin story of each panel and responding with genuine curiosity and respect, they embodied the kind of creative community any artist would appreciate. They were exemplary receivers of art. Their warmth and generosity is reflected in the inviting atmosphere of the T.W. 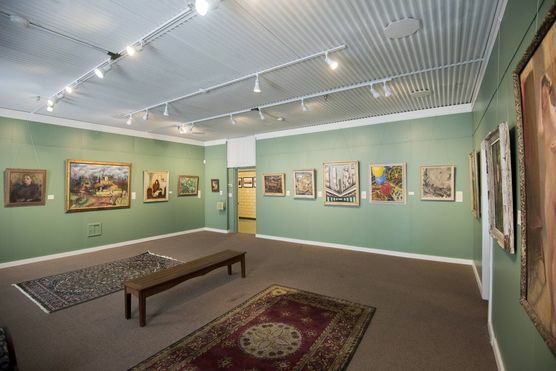 Wood Gallery, one of our favorite regional galleries. We couldn’t have hoped for a better temporary home for Almanac #4 and Vital Things.